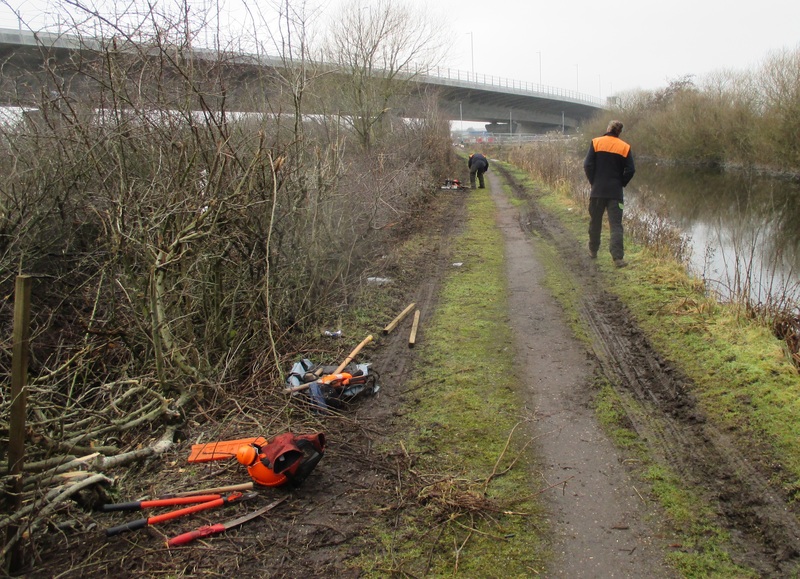 A hedge-laying programme led by the MGET has begun on a 900m stretch of the St Helens Canal from the Mersey Gateway Bridge works towards Fiddlers Ferry. 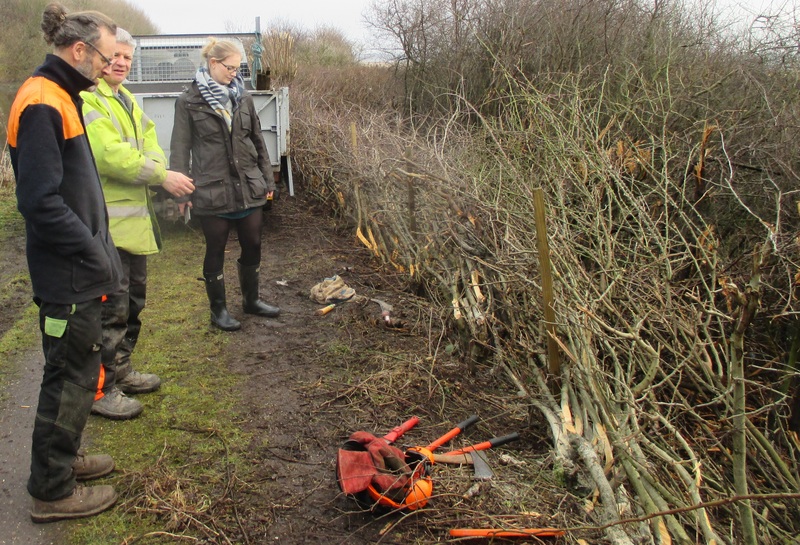 The MGET encouraged the bridge contactor, Merseylink to pursue a hedge-laying trial during the construction phase of the project in order to encourage environmental best practice over and above what would be required for a standard construction team. This was instigated in February 2016 on an 85m stretch of hedge within the bridge site and has proved successful, providing a future habitat for nesting birds, flowering bluebells and a host of other creatures. The MGET now seeks to continue the successful work with its current hedge-laying project which will improve a 4km length of hedgerow that runs down the side of the canal and will help to increase both the number of hedge species currently growing in the area and provide a natural barrier to the cattle grazing on the saltmarsh. The MGET has employed a local contractor Nick Bowman to carry out the works. 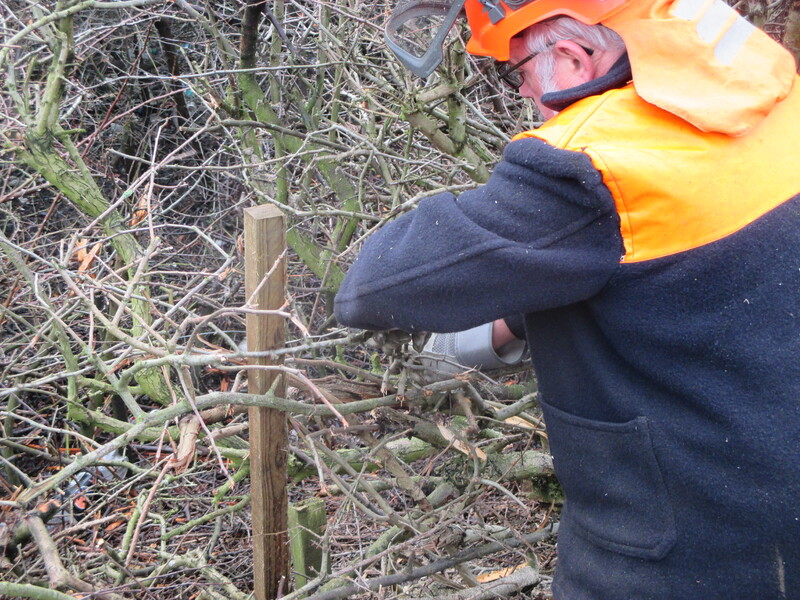 Nick and his team are experienced professional hedge layers, covering Cheshire and beyond and is working on behalf of MGET to deliver the 6 week programme. 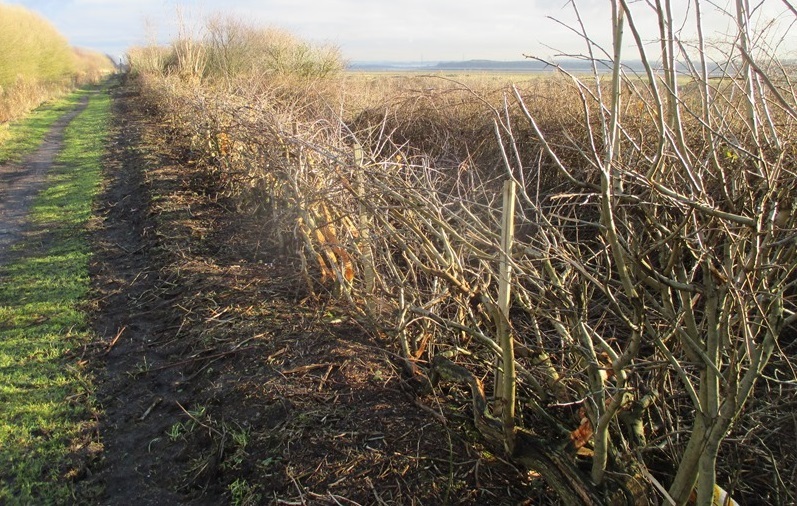 The team is using a hybrid of the Midland and Cheshire styles of hedge-laying this style is known to be particularly beneficial in the instance of grazing cattle and allows excess brush to be placed on the opposite side of the hedge where the cattle are kept. This ensures that during the spring and the summer, the new growth cannot be eaten by the grazing cattle in the fields. This programme of works is due to be completed before the start of the bird nesting season, usually by the end of February depending on the weather.